There has been a decline in the number of new cases of HIV/AIDS in this country. Programme Director of the HIV/AIDS Coordinating Unit Dr Keven Antoine says there are 10,700 persons living with the disease, but believes the figure could be higher if expanded testing is done. In the last decade, he says the annual figure of new cases was in the thousands, but has been at a controlled rate over the last few years. Dr Antoine says since the beginning of the epidemic in 1983, there have been 29,000 persons who have tested positive for the condition. He adds that the Ministry currently undertaking a project to determine how many people are still living after being diagnosed with the disease since 1983. But Dr Antoine is urging all citizens to get tested, since early detection is critical for successful treatment. 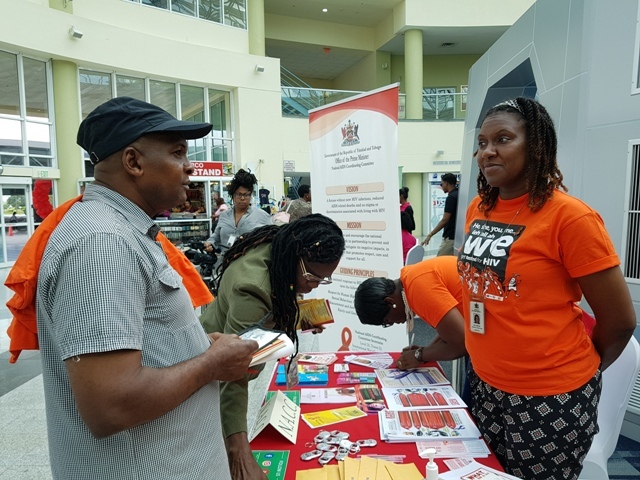 Dr Antoine was speaking to reporters at a HIV Testing Event and Health Fair at the Piarco International Airport today. He says free testing for the condition is also done at 63 health centres throughout T&T.